Infection control within the Clinic is of the utmost importance to us. 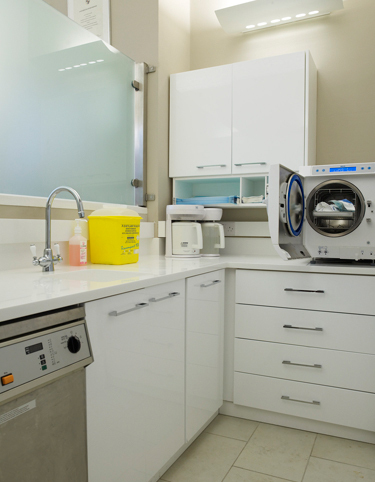 We have 4 identical sterilisation areas that deal with the cleaning, sterilisation and safe storage of instruments. We not only comply but we exceed all current and planned Irish and EU guidelines in relation to cross infection control and sterilisation of instruments. All clinicians and support staff are trained in Basic Life Support with some also trained in Advanced Cardiac Life Support. We have the equipment and trainning to deal with most emergencies should they arise.